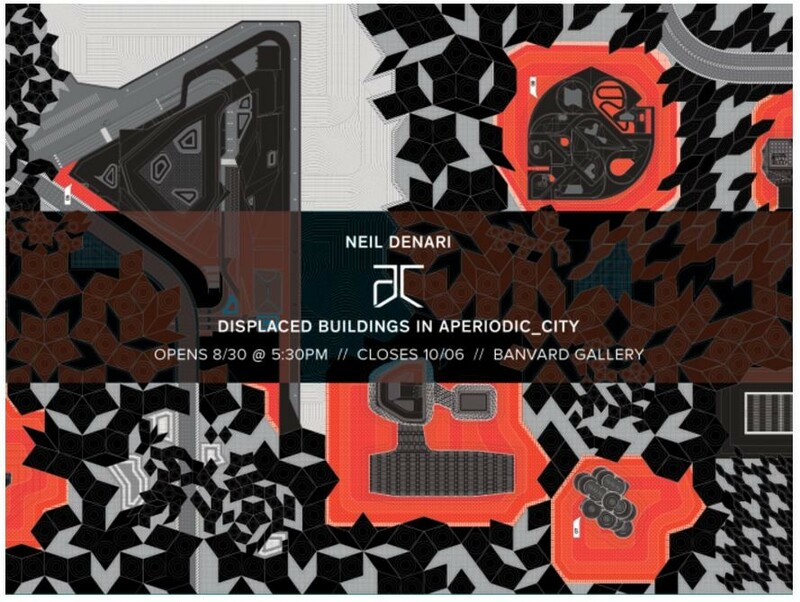 This autumn, the Steven Myron Holl Foundation is pleased to send the exhibition Neil Denari: Displaced Buildings in Aperiodic City on tour, beginning at the Ohio State University's Banvard Gallery in Columbus, OH, on August 30. The exhibition, which showed earlier this summer at 'T' Space in Rhinebeck, NY, features 11 of Denari's unbuilt projects, reimagined into a cohesive city. Inkjet prints, decades of original sketches and a Denari-designed 16-foot table were all reimagined for Banward by the architect, and overseen by curator Sandhya Kohrer. 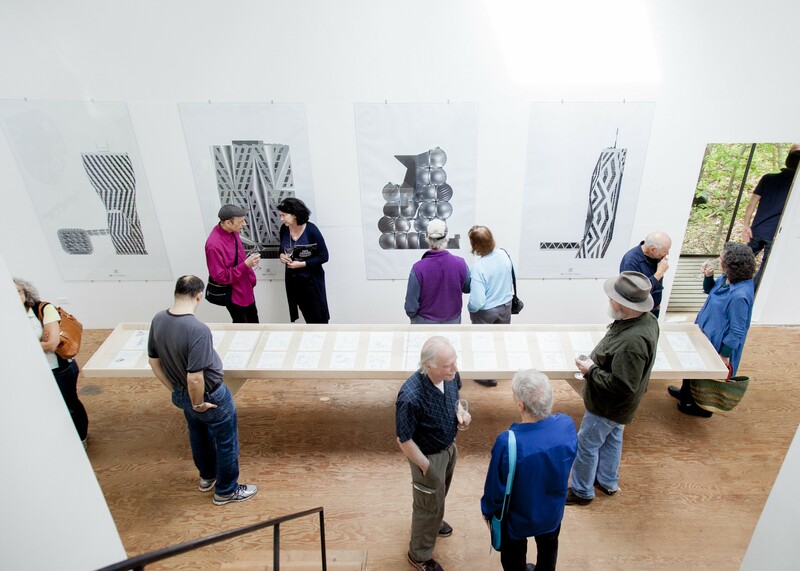 Displaced Buildings will be on display through October 6 at the Banvard Gallery, with an opening reception on August 30. With the support of AIA Cleveland and Kent State University, the show will then travel on to 1Point618 Gallery in Cleveland, where it will be on view from November 1 through January 1. During this time, Denari will visit Kent State as a guest lecturer. Aperiodic City is an urban accumulation organized around self-similar proto-blocks. It is at once like all cities in that it is made up of building forms that vary only slightly across an expansive field. But, like no other city, it is also based on a system rather than a meta-plan. It is an idea that is neither emergent nor parametric, but simply vaguely repetitious, incredibly persistent and appearing in no more than one form (proto-block). It is an idea city and a city of ideas. A number of buildings designed over the last seven years have been displaced from their original context as a life-enhancing act, given that their material lives never began. Designed for specific contexts in various cities, they now occupy peculiar voids in Aperiodic City. In this new context, these buildings take on new meanings, yet they retain all the attributes of their original locations. 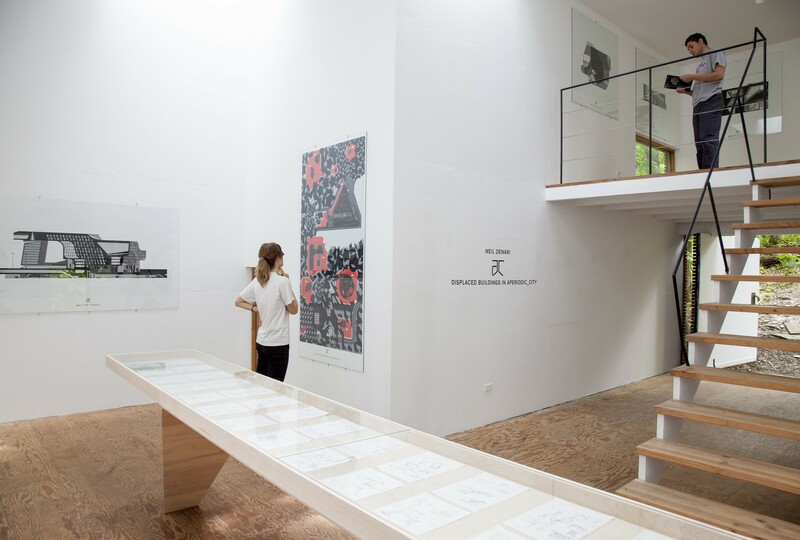 But, the location is not strictly limited to place, it also includes time, and in this, they are all imbued with ideas that are located on an endless curve that strangely oscillates through architecture and urban culture. 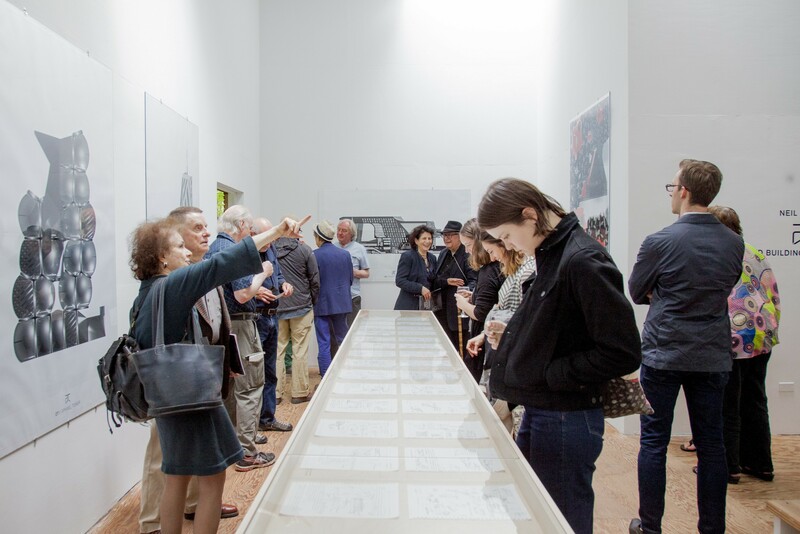 The Steven Myron Hall Foundation has enjoyed great success with its former travelling exhibition, José Oubrerie’s Chapel of the Mosquitoes, which will continue its US tour at Museum-Hotel in the coming months. More information on the Banvard Gallery exhibition here.